The Jamb 2019 Registration and Sales of form is sheduled to begin around the 1st and 2nd week of December 2018. This info is predicted so following the trend last year which had the sales of Jamb 2018 registration form from December 6th, 2017 & CBT Examination held in March 9th, 2018. Please note that the registration fee for the 2019 Unified Tertiary Matriculation Examination is Five Thousand Naira (₦5,000) only. The UTME Registration for foreign candidates is 20 dollars from the former which was 100 dollars. What is the novels for Jamb 2019? The reading text- “In Dependence” for UTME candidates and “The Last Days at Forcados High School” for Direct Entry Candidates would be used for the 2019 JAMB, if there's no last minute change. The cost of each of these books is five hundred naira (₦500) only. 1. You need to have personal e-mail address and mobile phone number. 2. Use functional and valid personal e-mail address. The system would reject at the point of registration any already used e- mail address. 3. 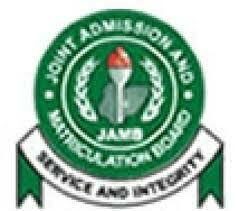 Create your JAMB profile. 5. Visit any accredited CBT centre with your personal details, the profile and evidence of payment. i. e-brochure showing guidelines on admission detailing list of tertiary institutions and available programmes of study. ii. Syllabus (e-syllabus) for the examination. iii. Step by step guide on completion of the application form. iv. A video messages from the Registrar of JAMB and a demo on how to use eight ( keys for UTME examination without mouse. 7. Each Candidate is to complete the online application form by supplying the required details such as name, e-mail address, L.G.A., academic qualification, etc. 9. O/L and/or A/L grades are to be provided by candidates. Candidates who are awaiting result should supply the result online as soon as the results are available on JAMB’s portal. 10. Each Candidate is to collect his e-slip at the end of registration as evidence of registration. There will be no offline registration, as all the accredited CBT centres have been empowered for real life online registration. JAMB has always warned it's candidates that none of them should register at any centre other than the accredited CBT centre and JAMB State office. Any candidate who is registered outside approved centres might be identified and disqualified. As someone new to how jamb grade is, you might want to read on it hereFollow the updates on the Jamb 2019 here.